Radio Canada International (RBI) is (was) the worldwide version of the Canadian Broadcasting Corporation (CBC), operating on the 9,745 and 11,856 kHz shortwave bands. It carried broadcasts from 1942 through 2012, by which time the widespread access to Internet broadcasts rendered the service obsolete. What remains of RBI is a skeleton staff that generates podcasts in a few foreign languages. As with the USA's Voice of America (VOA), RBI's mission over the years was a combination of broadcasting for the sake of overseas armed forces members, anti-communist/socialist propaganda, and news items. The Canadian Broadcasting Corporation (CBC) is a powerful voice in putting Canada on the world map. 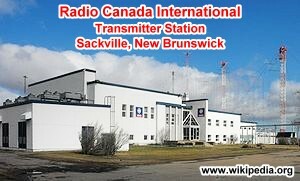 Most readers will by now have heard of the new transmitters of CBC's worldwide voice, Radio Canada International (RCI), at Sackville, New Brunswick. Some may even have obtained QSL verification cards when the first of the new 250-kW transmitters went on the air in July 1971, or on the official inauguration day, July 31, at which time programs were beamed only to Europe. 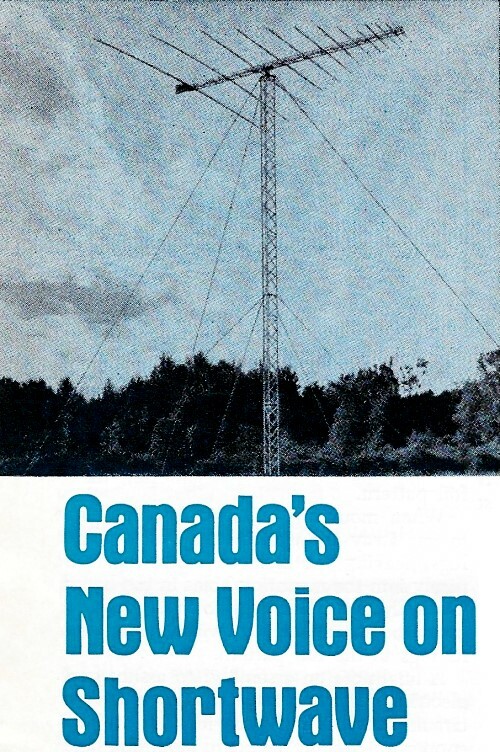 The CBC Sackville project entered a second phase on November 7, 1971, when regular transmissions began over the new transmitters on 9,625 kHz to the United States. The U.S. beam is obtained by electrically reversing the array used earlier in the day by RCI European Service, which ends at 2234 GMT. The 250-kW signal pours into the target zone, overwhelming the competition on 9,625 kHz. The popular English-language transmission beamed to the U.S. is at 2300 GMT - not a convenient listening time for many SWL's, especially west of the Eastern Standard Time belt. However, a solution is in Sight. Since July 1971, the CBC has been beaming to the central and western states a relay of the Deutsche Welle in German from Cologne. Presently on 9,745 and 11,856 kHz, the transmissions are during the more reasonable period between 0155 and 0415 GMT. And now the CBC is actively considering their own English transmission, following the German relay, to begin at about 0415 GMT. Plans are not final, but it may go on the air some time this spring. (If you support the idea, write to Radio Canada, Box 6000, Montreal). Then, western and midwestern listeners looking for the CBC during their local evening hours won't have to try tuning in the hard-to-receive Northern Service beamed to the Arctic. Going beyond North America, CBC's world-wide coverage plans included a series of tests in Japanese, English, and French beamed over the North Pole to Japan in 1971. The tests weren't successful because of interference on the crowded bands and the attenuation and flutter typical of polar circuits. A west coast transmitter station could solve the problem, but CBC is putting its development money into expansion of the Sackville installation. There's a brighter outlook for the Middle East and Africa. A Voice of Germany relay station is going up on strategically located Malta in the Mediterranean. Just as CBC relays Deutsche Welle for North America, the DW base will pick up and boost Canadian programs in the target areas of the Mid-East and Africa. There is even some talk of an Arab-language service for Radio Canada International when the relay base is completed. Thanks to an arrangement with the Voice of Germany, Eastern Europe and the Soviet Union are receiving a powerful Canadian Voice. The Russian-language transmissions of the CBC are relayed over Radio Trans-Europe from Sines, Portugal, which is mainly but not exclusively a Deutsche Welle relay base. Likewise, the BBC in London carries CBC relays to Europe and Africa. And there is a local FM relay in Berlin. The plan for Sackville calls for no less than five 250-kW transmitters in addition to the existing three rated at 50 kW which are going strong after 20 years. The antennas are modestly claimed to be of "conventional" design; but the new transmitters are unconventional, representing the state-of-the-art in design at Collins Radio Company. 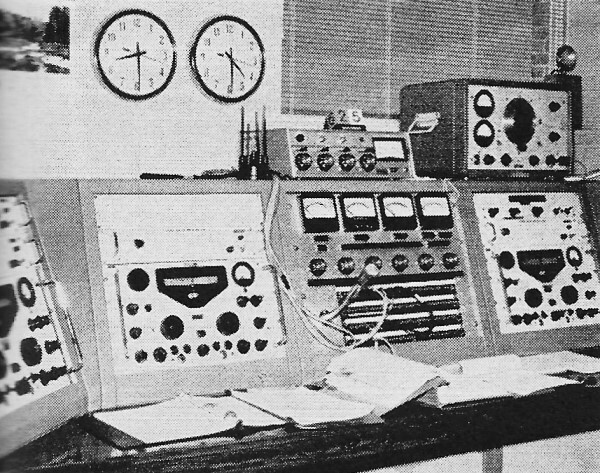 The Collins 821A-2 transmitter system is computer-controlled to provide a high degree of flexibility in prescheduling as many as 100 different programming conditions for a period of 24 hours before the actual time required for them to go on the air. Monitoring equipment at the CSC's receiving station near Ottawa, Canada. All of the operations are fed into the computer on punched paper tape. As each instruction is performed, it is erased from the computer's memory, but the punched tape can be saved for a repeat performance at another time. The transmitters can be automatically retuned in 12 seconds or less to any desired frequency in the 3.95-26.5-MHz continuous range by direct digital control of a frequency synthesizer. The computer also provides continuous control and monitoring of more than 70 analog and 80 digital parameters on each transmitter. Only out-of-tolerance readings are automatically printed out on a teletypewriter; but other readings are available to the operator via teletypewriter request. Upon completion of the Sackville project in the Spring of 1974, there will be four curtain antenna arrays, beamed independently to Europe, the Middle East, Africa, and South America. Each will provide 20 dB of gain, will have reflector curtains, and will be electrically reversible and slewable. RCI shares the Sackville facility with the CBC Northern Service, but the requirements for the Northern Canadian antenna system are different - only 14 dB of gain and a broader beam angle to cover the entire North West Territories and islands of the Canadian Arctic from the Yukon in the west to Labrador in the east. For the remaining SW stations in Canada, wattage is either elephant power like Sackville's 250 kW or flea power. The CBC's English-language domestic network is relayed on SW by CBC Vancouver on the west coast with 400 watts and CBC St. John's, Newfoundland, with only 300 watts. Identification is complicated by the fact that both stations operate on the same frequency of 6,160 kHz in the 49-meter band where all Canadian mini-powered SW stations are confined. Positive identification is therefore necessary. CKZN St. John's has its major newscasts on the half-hour as opposed to the on-the-hour newscasts from CKZU Vancouver, which is one way to tell the stations apart. Not all Canadian shortwave broadcasting is operated by CBC. Six lively commercial stations, with low-powered (ranging from 1 kW to a tiny 10 W) SW relays on 49 meters, give overseas SWL's a glimpse of North American domestic commercial radio. 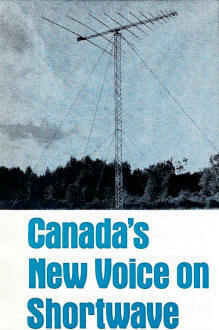 Best heard in the U.S. is CFRX on 6,070 kHz out of Toronto, relaying CFCF. In the West, CFVP Calgary on 6,030 kHz relays CFCN on 1,060 kHz. 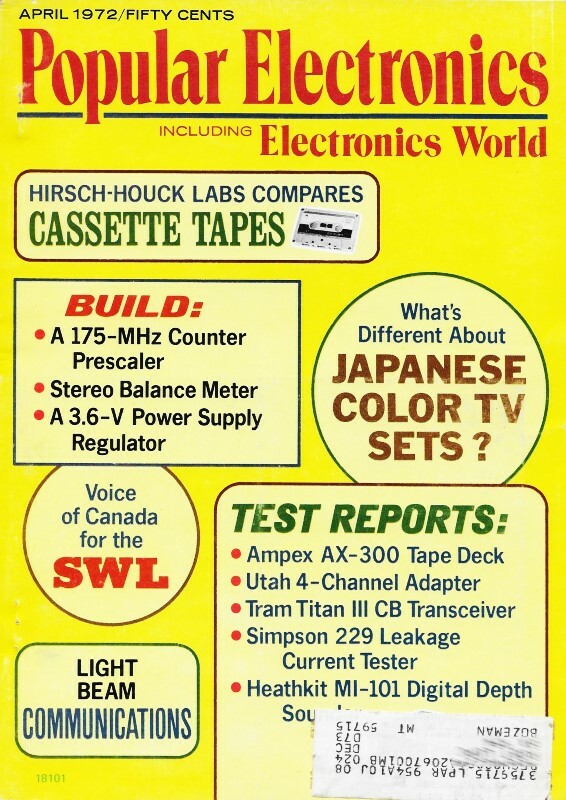 These and three others - also widely heard in spite of their low power - round out the scene in Canada where shortwave broadcasting is still very much alive. Have you heard them yet?